Dr Hemani Thukral has been named the Australia Indian Travel & Tourism Council’s Director of Medical Tourism. The Director’s role has been created to facilitate communication between interested parties in Australia and India considering India as a suitable destination for medical treatment. A medical practitioner by qualification, Dr Thukral’s career boasts a decade of medical practice experience with some of the finest institutions in India followed by another decade of consulting work at IBM in Australia. By virtue of this, she understands both medicine and business and now combines that to inspire medical tourism from Australia to India. The AITTC and Dr Thukral share a goal to leverage the strengths of medical tourism while addressing the challenges posed by medical tourism to benefit both Australia and India. It is estimated that around seven million people fly internationally each year, searching for quality, affordable medical care, thus fuelling an industry valued at around $US40 billion. India is considered as one of the leading destinations in the world for medical tourism with an annual growth rate of 30%, and an expected industry valued at $2 billion by 2015. As a medical tourism destination India holds an advantage because of its relatively lower costs, immediate access, choice of state-of-the-art private hospitals and diagnostic facilities, highly experienced and internationally trained doctors, nurses and workforce, besides centres of excellence in a variety of fields, which use sophisticated, modern medical technology, and a high level of hospitality for a diverse range cultural and personal needs. 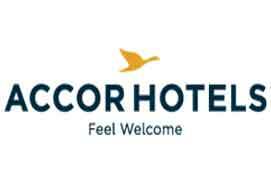 “This inspires us to include Medical Tourism as a part of the council’s long-term agenda,” said Sandip Hor, Chairman of Australia India Travel & Tourism Council (AITTC). 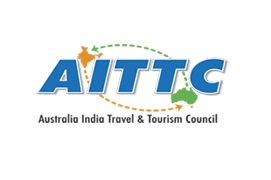 AITTC’s goal is to facilitate growth of travel between Australia and India and vice versa by providing a suitable platform for industry and its stakeholders to connect, communicate and collaborate to seek opportunities, identify issues, work out solutions and learn from each other on two great destinations of the world. Since its establishment in 2012, AITTC has been contributing in the leisure and business tourism sectors and now adds medical tourism to its portfolio. Medical tourism is a newer and growing segment of the industry.